Portraits, portraits and more portraits!! Here at e&b we are all about people. We take pictures of people, we love engaging with people, we're even people! When it comes right down to it people are what connections are all about. We love shooting portraits of folks being them and looking like its all going down naturally. We are good at what we do and we enjoy it tremendously. If for some strange reason you might be thinking of gift ideas for the near future, *Cough, Valentines Day...ahem* our portrait sessions are a fantastic gift idea, you know if you were looking for that type of thing. Looking forward to catching some sweet portraits of you and your people! Recently, we had the opportunity to work with local yoga instructor, Nicollete Tura of The Illuminated Body. We met at a nearby park and took photos for Nicollete to use on her website and social media. We always enjoy shooting fitness portraits and we had a great time working with Nicollete. For more information about our portrait photography in the Bay Area or to schedule a session, please fill out our contact form. We've been really excited by the amount of portraiture work we've been getting lately! With our wedding season wrapping up, it's been so great meeting new folks and helping them update their websites and social media profiles with new portraits. 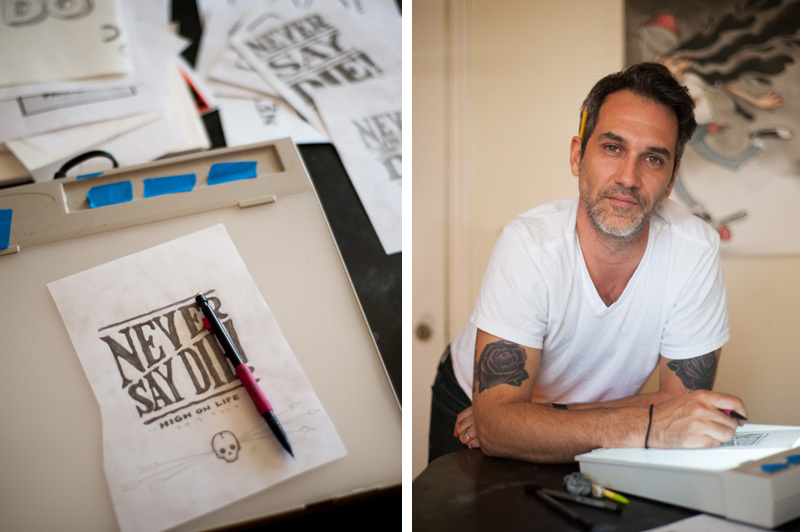 A few weeks back we met up with our good friend Damian King at his home in North Berkeley. 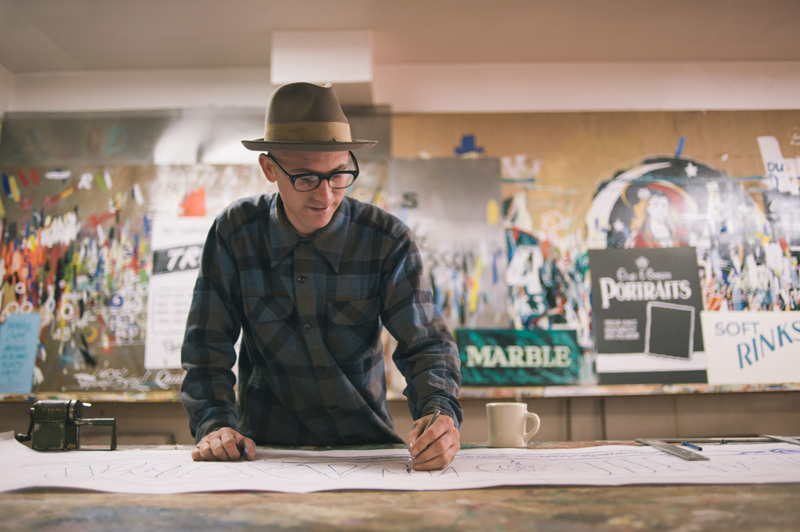 Damian is a freelance illustrator and sign painter and we love following his work. We used the natural light in his workspace as well as the area in front of his home to take a variety of casual portraits. We even uncovered his vintage BMW 2002 to use as a prop. You can view Damian's work online at http://www.damiankingart.com. 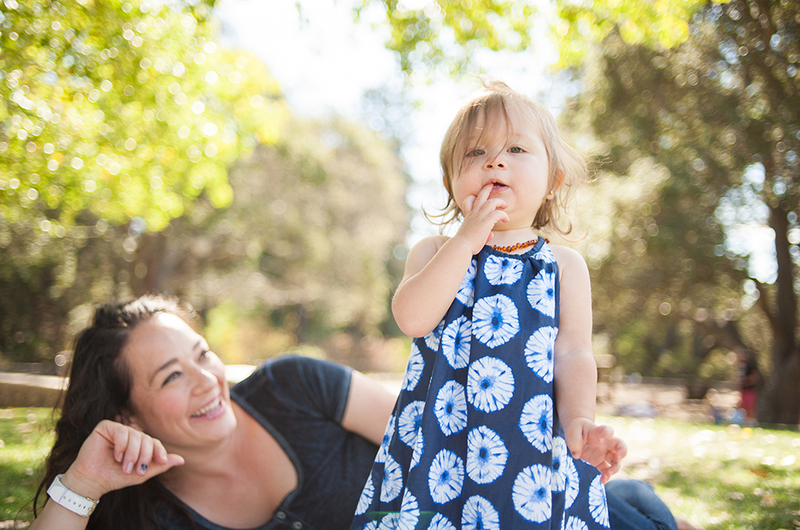 For more information about our portrait photography in the Bay Area or to schedule a session, please fill out our contact form. We recently had the opportunity to shoot some small business portraits at Golden West Signs. This little sign shop is run by Derek McDonald, a local sign painter in Berkeley. 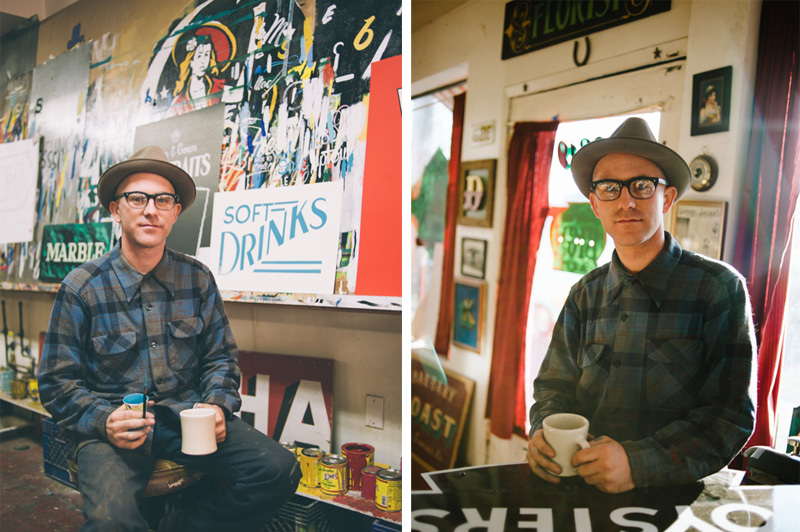 Derek has done work for many small businesses in the East Bay and beyond, including the Temescal Alley Barbershop and Beauty's Bagels. Back in the day, hand painted signs were everywhere but as everything has moved digital these handcrafted signs became somewhat of a lost art. Thankfully there are still a few super talented artists that are taking up the torch and breathing new life into this craft. We really enjoyed this shoot and look forward to seeing Derek and his business bring hand made craftsmanship in to the future. For more information about our small business and environmental portraiture, please fill out our contact form. Pedal Express reached out to us to shoot some small business portraits as well as some lifestyle shots of the team working in the streets of Berkeley and Oakland. 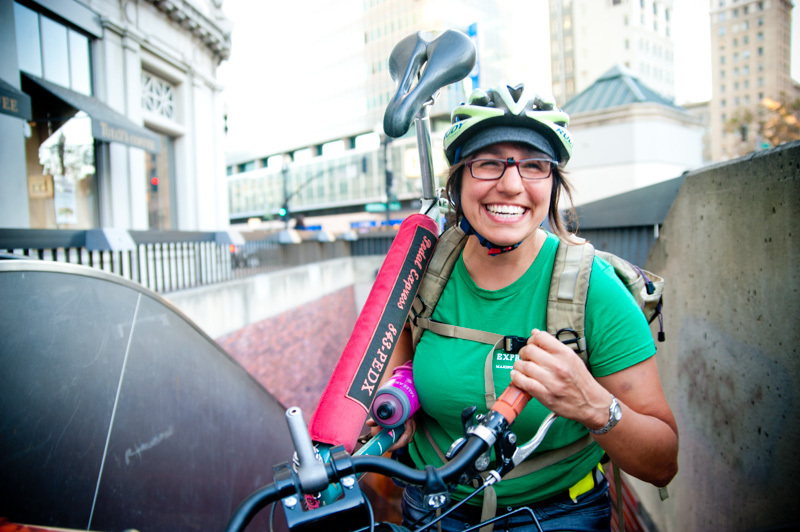 Since our initial shoot with these guys we have had the pleasure of working with this local bike messenger service on many occasions; shooting everything from headshots for rider profiles to environmental portraits at their office space. We always love helping local small businesses generate visual content to accompany blog posts or to go along with company websites. Creative candid portraits always help put a face to a name. Let our naturally lit portraits help represent your small business and connect you with your clients. Need something delivered? Pedal Express has you covered! Check them out at http://www.pedalexpress.com.